Sometimes it can be a challenge to find a way to combine fun and school in the same assignment. Yes, there are lots of creative ideas out there to tweak curriculum or even make your own units. It is certainly nice though when it already comes packaged that way. This is exactly what we found in reviewing the Roman Town iOS app from Dig-It! Games. 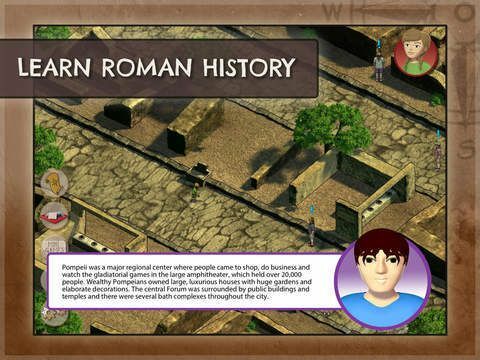 Roman Town is an iOS app compatible with iPhones and iPads that use an iOS of 8.0 or later. It’s download size is 139 MB. The app itself is free to download, but has some in-app purchases that combine for a total of $3.99. The app is designed for children ages 9-11, but can be enjoyed by those older as well. 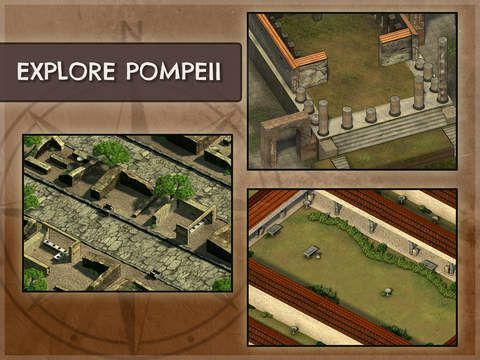 The Roman Town app is an educational game that uses the theme of two young people trying to use clues to find a thief named Ladrone. The game takes place in the city of Pompeii in Ancient Rome. Within this context, the player has an opportunity to learn about this historical place with time sensitive clues to the culture of that day. The player explores different aspects of the city while interviewing others in the area and playing challenging mini-games. 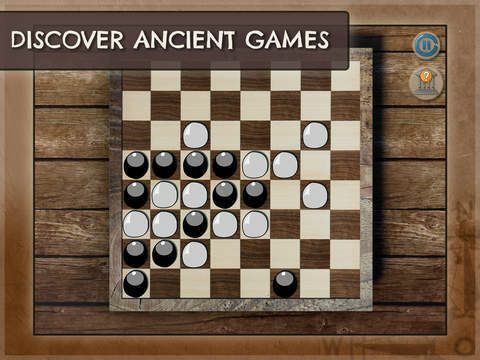 Many of the games are those similar to the ones played during the time of the Ancient Romans. 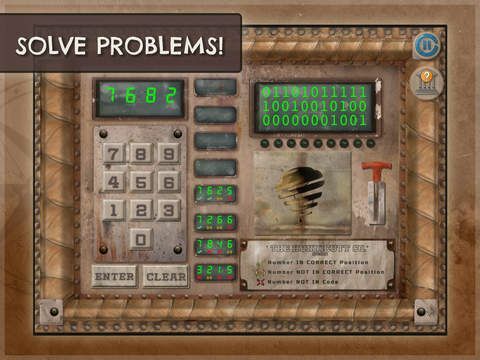 These games are not only the ticket for clues to hunting down Ladrone, but also develop problem solving and critical thinking skills. This app could certainly just be used for the fun of it. It is designed to encourage independent learning through the mixture of teaching historical facts, exploring culture, and engaging the student’s critical thinking skills. We are actually incorporating this into our lesson plans for our 11 year old. He is studying Ancient Civilizations this year in school. Roman Town is a great way to break up the monotony of other studies. In addition, it is a fun day when he does not even know he is learning, but he is. We have not yet begun our unit on Ancient Rome, but I am sure he will be surprised at just how much he has already learned before we crack open his regular materials for this unit. We came into this review with the intention of hitting on the educational side of Roman Town. It is a great introduction or supplement to any study of ancient civilizations for the upper elementary or middle school student. The amount of knowledge introduced and retained is considerable. The real thumbs up comes in that the kids are not even realizing that they are learning as they go. They are simply having fun exploring Pompeii, chasing down Ladrone by putting clues together, and enjoying the games. In introducing this app to other families, I would definitely stress the content related to Ancient Civilizations and also the benefits in the area of problem solving and critical thinking games and challenges. I would be more reluctant to promote this as a high energy, high stimulation game like many more apps built solely for entertainment. When viewed with the proper perspective, Roman Town by Dig-It! Games gets a thumbs up from our young reviewer. 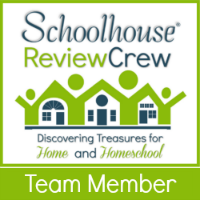 As always, I encourage you to check out what other members of The Schoolhouse Review Crew have to say by clicking on the graphic below.